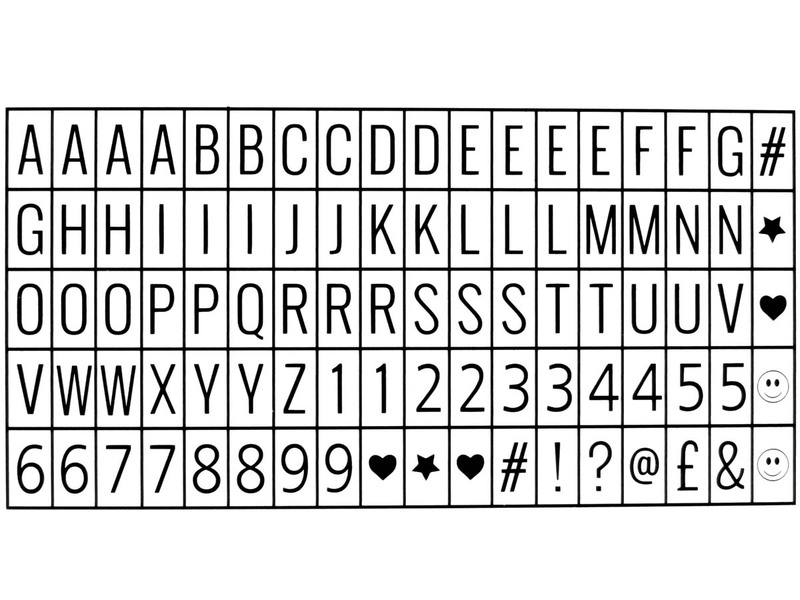 Let your messages light up the night! Cinemas used to have lightboxes that showed that day's programme. 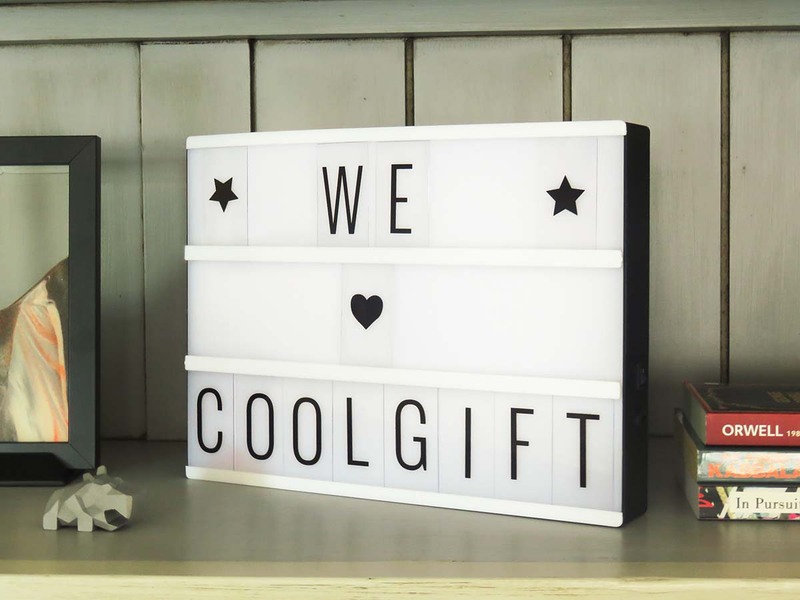 With this Cinema Light Box, you can now relive these times and display what's going on with you. 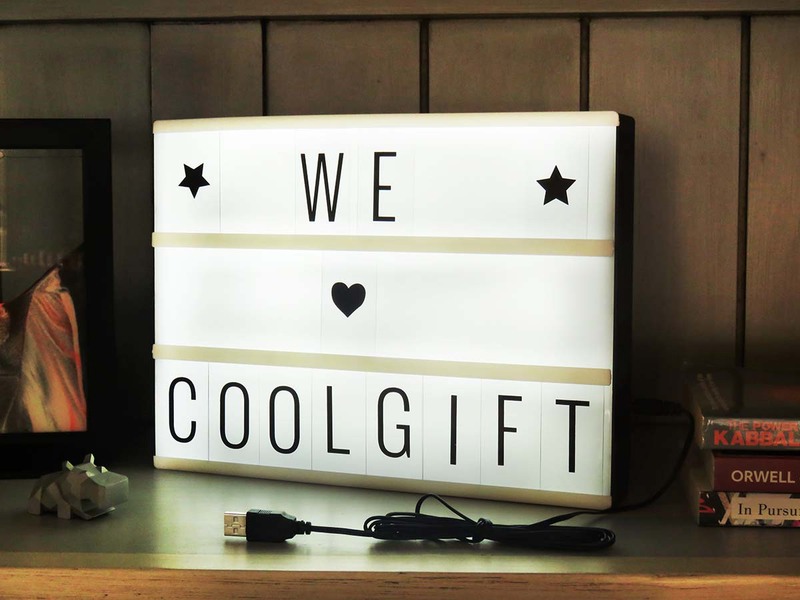 Inspiring quotes, sweet nothings, a quick reminder: attract the audience your messages deserve with the bright, white LED lights. 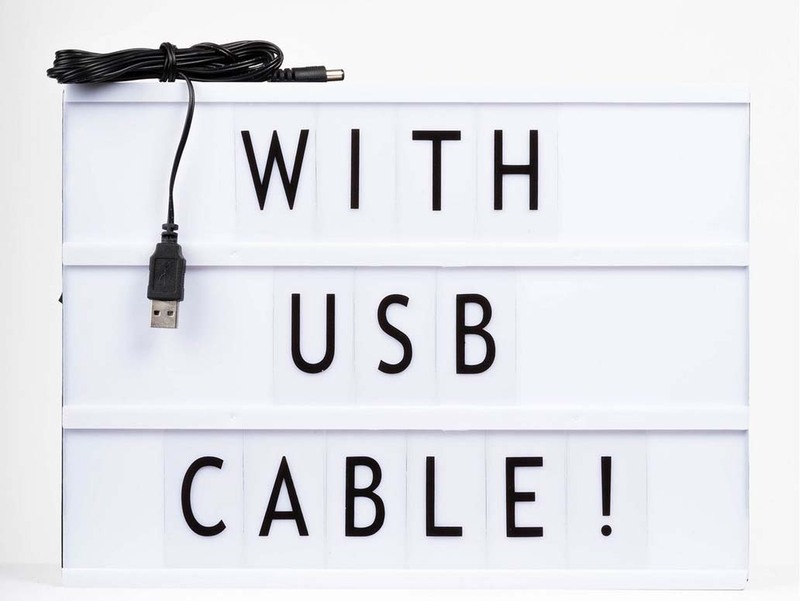 This customisable lightbox is not only useful in kitchens or offices, it's also a great gadget to use for weddings or other special events.